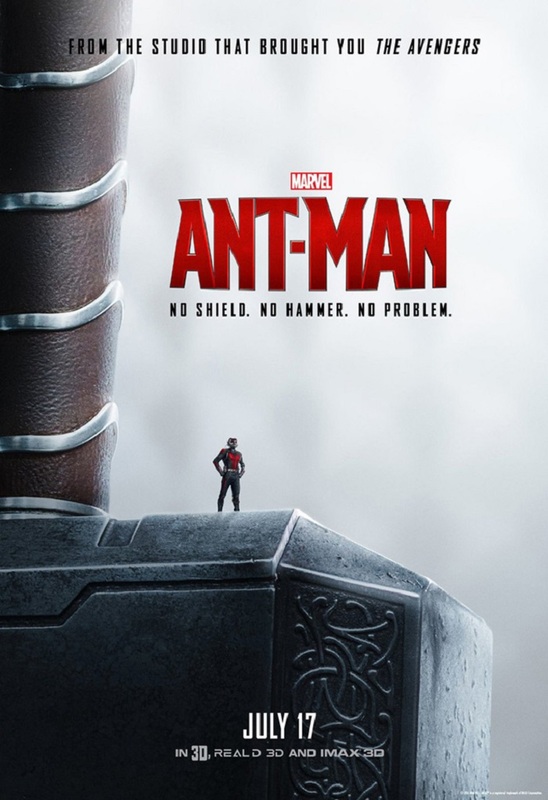 The marketing so far for Paul Rudd's debut as superhero Ant-Man have thus far been very smart and savvy, focusing on the hero's tiny stature and making the most of the humour that was abundant in the trailer. 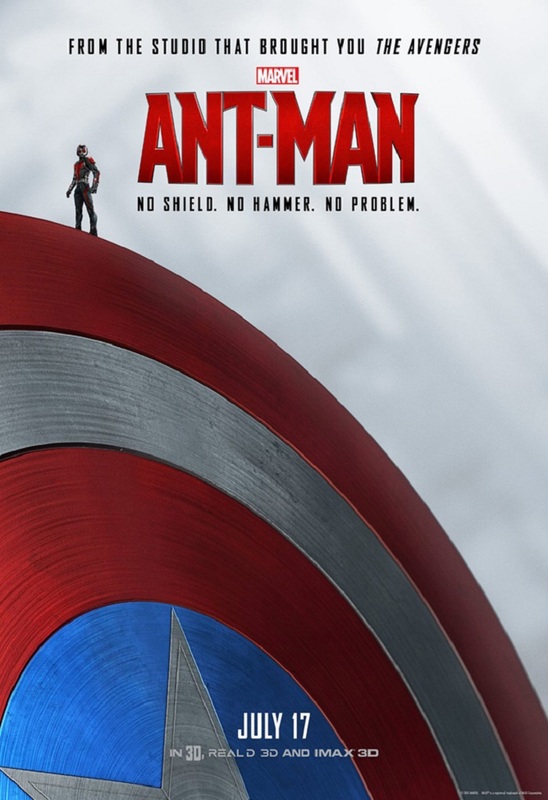 Now, we have a glimpse at three brand new posters, each showing our bug sized hero beside a different piece of Avenger kit. The posters look great and the hint at an Avengers tie-in is sure to whet fans appetite for the beginning of Marvel's Phase 3. 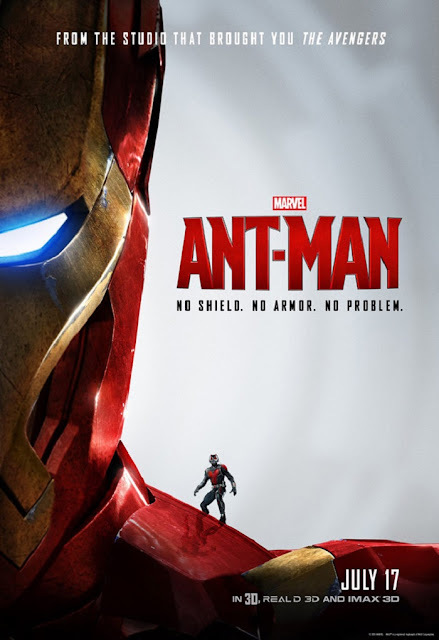 Ant-Man hits our screens in a few short weeks, and everything we've seen so far points towards a very fun night at the movies.